Journalist, essayist, and novelist Eric Blair, better known as George Orwell, has the distinction of writing not just one, but two of the most well-known cautionary novels about totalitarian governments: 1984 and Animal Farm. You’ve likely read at least one of them, perhaps both, and you’ve likely seen either or both of the film adaptations based on these books. Were this the totality of Orwell’s legacy, it would surely be secure for many decades to come---and perhaps many hundreds of years. 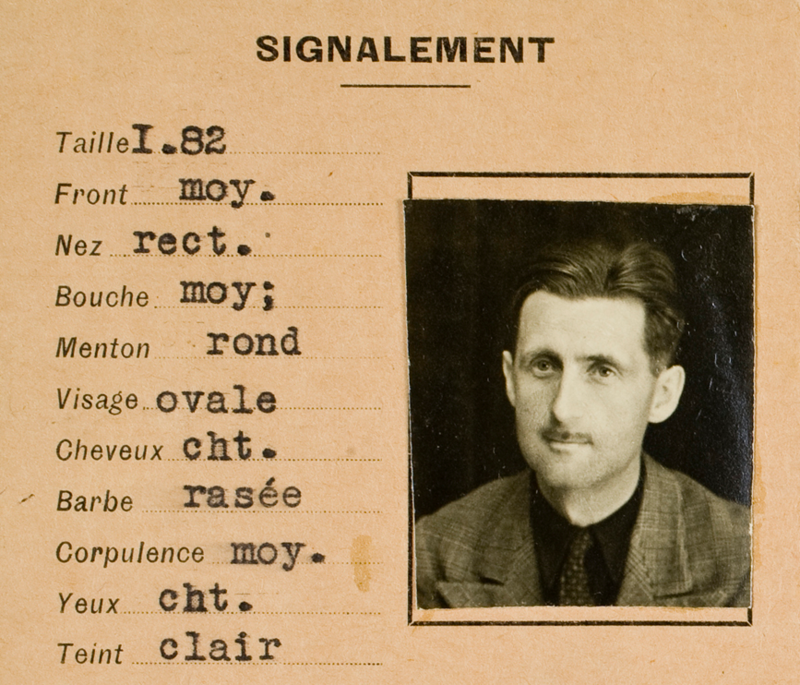 Who knows how our descendants will remember us; but whether they manage to fully transcend authoritarianism or still wrestle with it many generations later, the name of Orwell may forever be associated with its threatening rise. Orwell’s tour of duty in Spain ended in 1937 when he was shot in the throat; later he and his wife Eileen were charged with “rabid Trotskyism” by pro-Soviet Spanish communists. The Orwells retired to Morocco to recuperate. There, Orwell began keeping a diary, which he maintained until 1942, chronicling his impressions and experiences throughout the war years as he and Eileen made their way out of Morocco and back to England. You can follow their journeys in a Google Maps project here. And you can read all of Orwell’s diary entries at the website of The Orwell Prize, “Britain’s most prestigious prize for political writing.” The Prize site began blogging Orwell’s entries in 2008—70 years to the day after the first entry—and continued in “real time” thereafter until 2012. The first entries reveal little, showing us “a largely unknown Orwell, whose great curiosity is focused on plants, animals, woodwork,” and other domestic concerns. Then, from about September, 1938 on, we see “the Orwell whose political observations and critical thinking have enthralled and inspired generations since his death in 1950. Whether writing about the Spanish Civil War or sloe gin, geraniums or Germany, Orwell’s perceptive eye and rebellion against the ‘gramophone mind’ he so despised are obvious.” These diaries---posted with explanatory footnotes---preserve a keen eyewitness to history, one who had been tested in war and seen firsthand the danger fascism posed. Orwell’s experiences gave him material for the novels for which we best remember him. And his personal and journalistic accounts give us a gripping firsthand portrait of life under the threat of Nazi victory. Start reading Orwell’s War Diaries, beginning with the last one, at the Orwell Prize site. 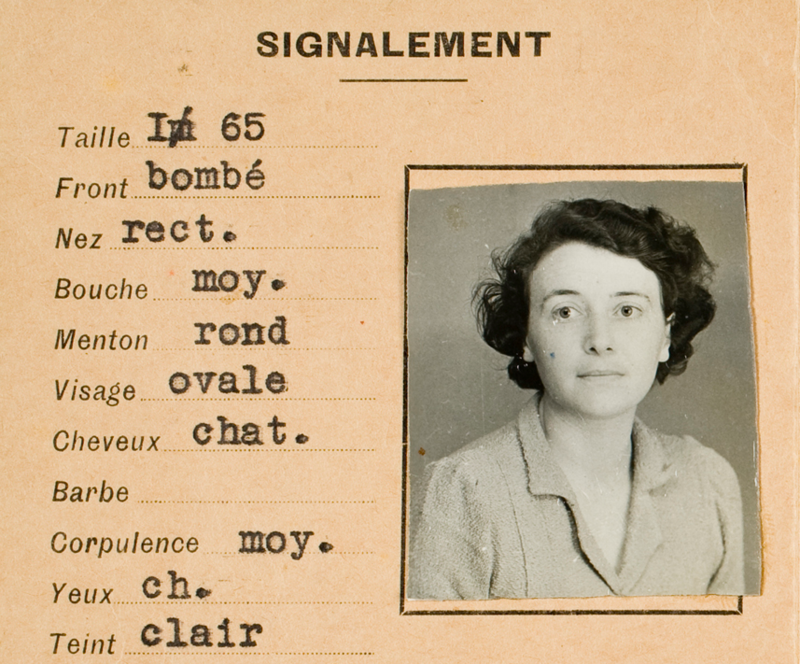 Along with the diaries themselves, you’ll find contextual articles and an image gallery with scanned clippings and documents like the 1938 ID cards for George and Eileen Orwell, above. Orwell's War Diaries will be added to our collection, 800 Free eBooks for iPad, Kindle & Other Devices.